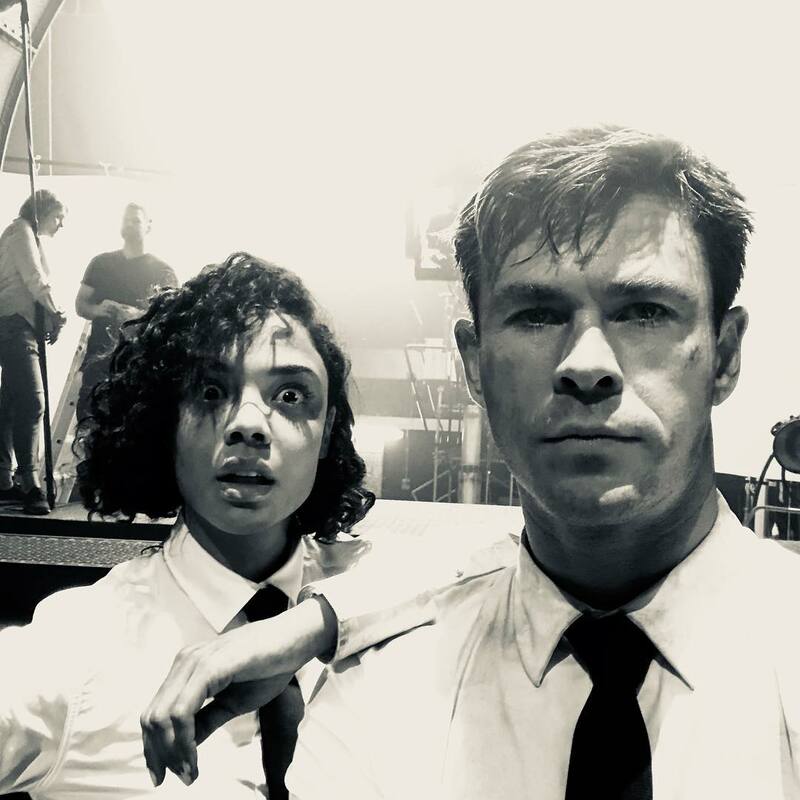 Check out the latest pic of Chris Hemsworth and Tessa Thompson in the new Men In Black movie featuring the characters as part of a desert scene. 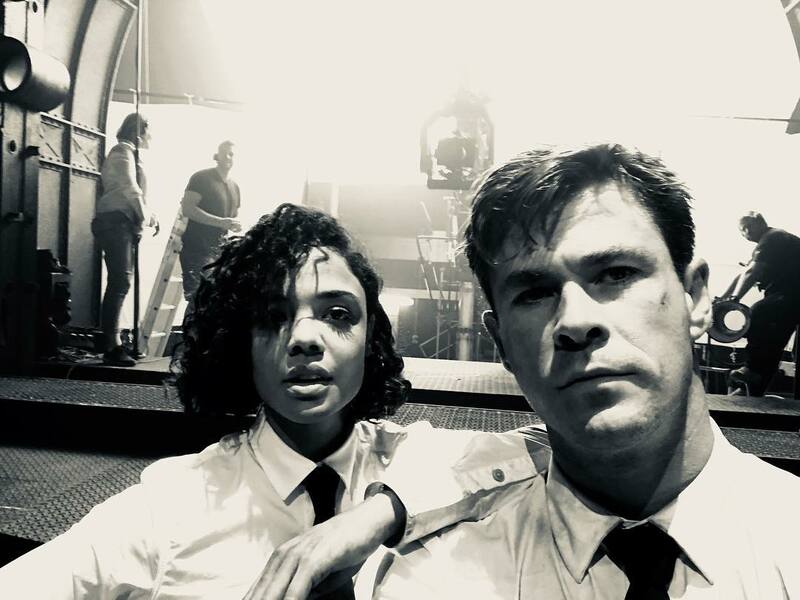 "Buds in Black," Tessa Thompson posted on Instagram. Some other images can be found below. The currently untitled Men In Black 4 has a June 14, 2019 release directed by Straight Outta Compton's F. Gary Gray, written by Iron Man writers Matt Holloway and Art Marcum and also stars Rebecca Ferguson, Emma Thompson, Liam Neeson, Kumail Nanjiani and Rafe Spall. 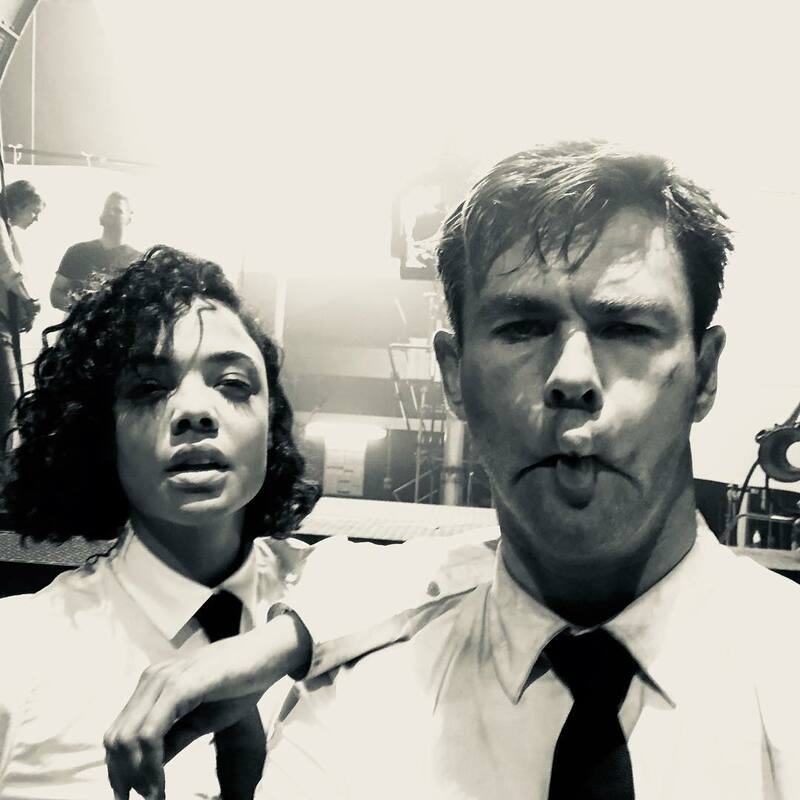 The spinoff is described as a contemporary sci-fi pic about the black-clad secret force that protects earth from the alien scum of the universe, focusing on new characters chasing villains that put the picture on more of a global scale than the two previous films, with the new Men In Black compared to Jurassic World which rebooted and expanded that franchise. Will Smith and Tommy Lee Jones will not be back, but it's said the new film acknowledges and builds on the world they inhabited and is set in the same universe.